KNOXVILLE—The National Institute for Mathematical and Biological Synthesis has been awarded a two-year, $299,990 grant from the National Science Foundation to develop a new tool to assess whether using real-world biology examples in college-level mathematics courses enhance student understanding of quantitative concepts. In recent years, education reformers have pushed for integrating science and mathematics curricula, suggesting that students are more likely to understand quantitative concepts presented with real-world problems, especially for students interested in careers in the life sciences. However, evidence for the effectiveness of learning quantitative concepts through concrete examples over abstract methods is mostly anecdotal, and robust assessment tools for evaluating the different learning approaches do not exist. The NSF grant will allow NIMBioS to develop a new instrument to investigate and compare learning comprehension and skill development in college-level mathematics courses that use real-world examples from the life sciences versus courses that use more abstract learning. The instrument—the Quantitative Biology Concept Inventory (QBCI)—could serve as a model for measuring the effect of using real-world interdisciplinary examples on enhancing mathematical comprehension in undergraduates. The first phase of the project involves developing a comprehensive inventory of core quantitative competencies in mathematics for life science majors. Leading experts in both biology and mathematics education as well as undergraduate students in the life sciences will evaluate potential inventory items for inclusion in the final QBCI. Once finalized, the QBCI could be disseminated for nationwide usage in mathematics education, particularly in courses geared toward students interested the STEM (science, technology, engineering or mathematics) fields. "Our hope is that the project will provide a unique way to enhance student learning of mathematical concepts and also provide a novel means to assess different pedagogical approaches to learning mathematics," said NIMBioS Associate Director for STEM Evaluation Pamela Bishop, who will lead the project. Other team members on the project are NIMBioS Director Emeritus Louis Gross, NIMBioS Associate Director for Education and Outreach Suzanne Lenhart, NIMBioS Education and Outreach Coordinator Kelly Sturner, as well as an outside evaluator. 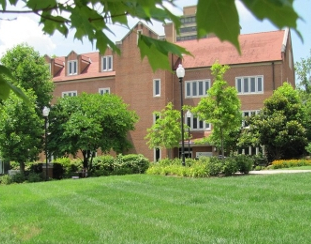 Established in 2008, the National Institute for Mathematical and Biological Synthesis is an NSF-supported center located at the University of Tennessee, Knoxville. Its mission is to bring together researchers from around the world to collaborate across disciplinary boundaries to investigate solutions to basic and applied problems in the life sciences. In addition to its research component, NIMBioS has helped facilitate more than 200 education and outreach activities at the interface of mathematics and biology from K-12 to post-graduate and professional educational activities.